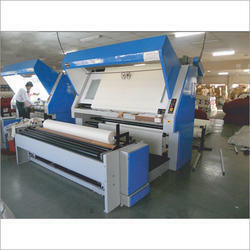 We are offering Fabric Rolling Machine to our client. - Inspection roll Speed : 0 to 50 meters/min. - Complex 3D contour can be checked easily at the time of machining. - Product quality can be achieved in one go before detaching component from Machine. 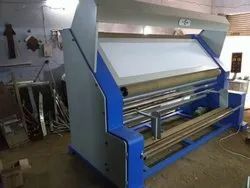 A series of modern inspection system with various modules depending on the fabric to be inspected and the kind of feed and delivery required can be supplied. With winding and unwinding attachment fabric width 153" with electronic digital counting meter speed is controlled by investors clothes are cleaned by spiral brush. - Trouble free mechanics and drives. - Allows inspection as well as mending of fabrics. - Tension free unwinding and winding. - Speed of machine : 30meters/minute. - 2hp x 1440rpm, 415volts electric motor. - Reverse - stop - forward arrangements(from three sides). - Roll compact with 5 dia.